In case you missed it last week, the Republican-dominated House of Representatives here in the Hoosier state just voted to raise your taxes. On February 16, House Bill 1002 was passed 61-36 to hike gas and diesel prices on Hoosiers by $0.10 per gallon and adds another $15 a year to the cost of registering your vehicle. And those environmentally-conscious drivers who paid extra for an electric car, you get to pay extra again, a $150 extra for registration (government always finds a way to extract its pound of flesh from the taxpayer). HB1002 also gives the governor the power to add tolls to highways. 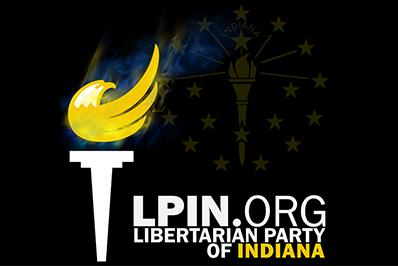 Former Montgomery County Republican Party Chairman Ran for Indiana house District 41 as a Libertarian in 2016. 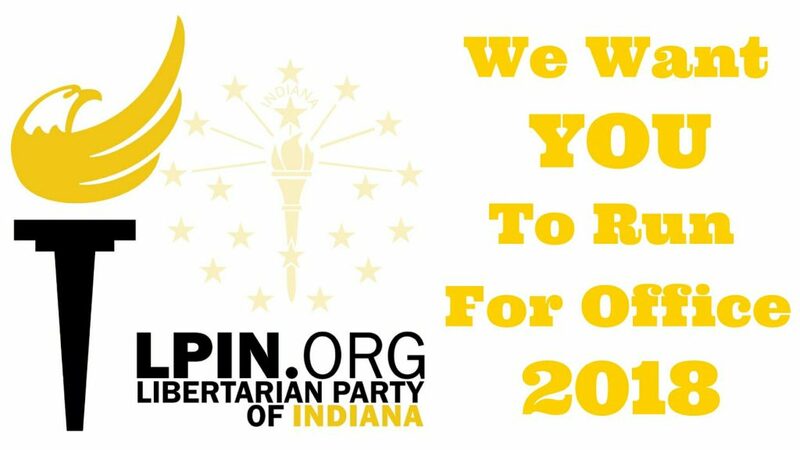 John continues to be a valued member of the Libertarian Party of Indiana. The winners of this deal are road construction corporations like Milestone and Rieth-Riley who gave generous campaign finance contributions to the Build Indiana PAC, who in turn donated to influential lawmakers in the House (Brian Bosma and his HRCC, Tim Brown, Ed Soliday). In exchange, Milestone, Rieth-Riley, and the other companies are one step closer to a juicy piece of the $1.2 billion in additional road funding. The losers are the taxpayers, who will be forced to hand over the $1.2 billion. Lawmakers love to fall back on the excuse that it’s government’s job to “be responsive to the needs of the people.” But they’ve forgotten that American wasn’t supposed to be a socialist society, it is supposed to be a free society. In a free society, it is the role of the free market to be responsive to the needs of the people. Specifically, it’s the entrepreneur whose mission it is to figure out what service or product other people need to best improve their quality of life. The role of government is to merely secure the inalienable rights of the people so they can live free, nothing more. It used to be Republicans would at least pretend to believe that. 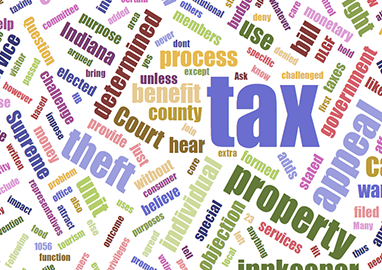 But on Thursday all 61 votes to raise your taxes came from Republicans, despite the fact that 19 of them made a formal pledge, “… to the taxpayers of the State of Indiana that I will oppose and vote against any and all efforts to increase taxes.” These 19 include Tim Brown and Sharon Negele, along with Lehe, Huston, Torr, Baird, Heaton, Culver, Cherry, Ziemke, Burton, Ellington, Washburne, Lucas, Davisson, Carbaugh, Ober, Behning, and Frizzell. Yes, it’s time to name names. Republican lawmakers are now tap-dancing, making statements like, “No, no, no! Just think of my yes-vote as a ‘procedural vote.’ Maybe the Senate will fix our mistake.” Some others are saying, “But I had to vote yes. The roads are falling apart!” But maybe the reason the roads are falling apart is because of all the hundreds of millions of dollars lawmakers diverted from the Road Fund and into their general fund over the years. And now, when the roads do fall apart, they claim it’s all the taxpayers’ fault for not giving them enough money for roads. No, Mr. Lawmaker, it’s your fault for stealing from the Road Fund to balance your budget, instead of lowering spending to do so. But instead of listening, Republicans like Ed Soliday just thumb their noses at their conservative and libertarian base, even saying that they don’t need them to get re-elected. We’ll see about that. And yes, Mr. Soliday, we know you got $500,000 from HRCC to get re-elected in 2016. By the way, seven of the no-votes on HB1002 were from the few Republican lawmakers that put principle before party (Nisly, Judy, Morris, VanNatter, Clere, Wesco, Borders). They’re now enjoying hero status with fiscal conservatives. Shortly after my article titled “Republicans just voted to raise your taxes” was published I was contacted by one of Rep. Sharon Negele’s staff members. 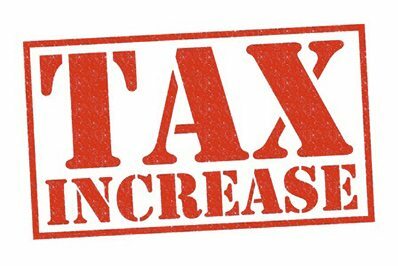 In my article I had stated that Rep. Negele was one of 19 Republican lawmakers who had voted yes on HB1002 to raise our gas tax and vehicle registration fees despite having signed a tax pledge stating they would oppose any and all efforts to raise taxes. Rep. Negele’s staff member informed me that she had been invited by the organization Americans for Tax Reform to sign this pledge but never did so. I informed her that the Americans for Tax Reform website does presently list “Indiana State Representative District 13 Sharon Negele” as having signed it, and that she might want to contact ATR to correct their records. 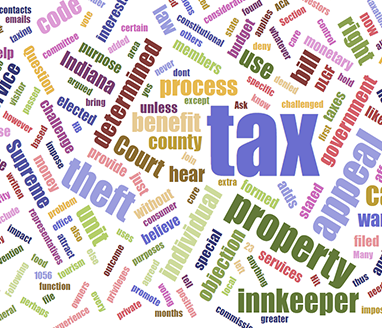 Bottom line: Although Rep. Sharon Negele did vote yes on HB1002 to raise the gas tax, she did not break the ATR pledge by doing so and should not be listed with the 18 Republican state representatives who did. 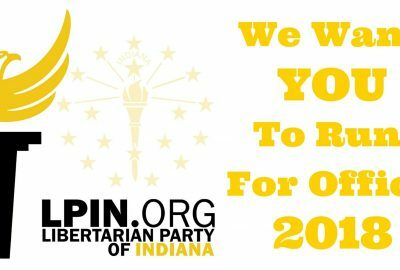 Libertarian Party of Indiana shared a link. Isn’t the whole reason they do this so that people can’t just turn around and say no it wasn’t me I wasn’t there. You’re on a public street. My town just Wrightstown license plates which is why I luckily have been taking Pictures on my phone all day when they issued me a ticket for supposedly sitting in front of the library for eight hours when I was just there in the morning and the afternoon. Don’t park in the street. Problem solved! They chalk here in our little town. The parking is free for two hours. So they chalk. We go look at our tires….no chalk, no worries. If there is chalk we move the car to another spot making sure the chalk it on top. If anyone walks up and scribbles chalk on my car, we've reached an impasse. Does this mean I can get my money back for parking tickets and the time Indianapolis towed my car? This tire smells like weed, tho. Dirty plays by "law enforcement" to add revenue and explain the reason for their wasteful drain of tax dollars. I was just washing the wife’s car yesterday and found glow in the dark paint dotted on her headlights, dirty tactics cops pull around here. Isn’t it entrapment to hide out waiting for cars to leave the bar?? Must be a Michigan thing. Cops used to chalk the tires of cars parked at the bar where my friend worked and then they’d wait in the parking lot down the road and pull you over hoping to nail you with a DUI. Libertarian Party of Indiana shared a post. I guess I'm not a libertarian after all. This is the same kind of thought process both main parties have if you don't believe in one thing we hold hold true you can't be in our clic. Sorry I'm just a free thinker I guess. Sadly, the libertarian party will never gain traction in big elections. It will remain a fringe party. I see a lot of you slapping an untrue label on those of us that are conservative, Constitutionalists, and/or Republican. MOST of us are NOT anti- immigration… we are anti-ILLEGAL immigration… one word that makes a huge difference . If any of the folks that say "hurr durr illegul immgrnts ar all demonrats" would actually get to know any of the undocumented, they would piss their pants at how many pay taxes and how much they pay in taxes. Legally instead of illegally and plus why bring the flag of the country you hate wity you! So you're saying that someone who wants to turn the US into a socialist country should be told to stay? The people who are told to get out, usually are the ones extolling the benefits of other countries and forms of government. If they like it, they can go try it in the places where it's "Thriving" before trying it here. What do you say to the people that want to completely get rid of the constitution? Republicans are like that divorced drunk uncle who shows up uninvited to his nieces' and nephews' parties and yells "Wooo!" while thinking people find him cool. I get the meme but it is weak. When you don’t like the American system you can move to a country with a system of your choice. If you want to come here bring your hard work ethic and succeed on your own or with the help of your community. That’s how it’s done. Meanwhile attempts to undermine the electoral college are being made. I 100% read that first part the way that guy says a similar phrase on South Park 😂. Is this the Leftertarian party page? That’s why they’re so proud of their country and fly the flag of their country? Give me a break. And we accept immigrants that come in legally by the way. We just don’t want them coming over illegally. There is so much BS in this meme…. Yes, if you come here, through the front door, welcome! Sneak in the back door because your country is a shithole, back you go. There is nothing, and I mean nothing, wrong with restricting immigration of any kind.